What a treasure to have my parents visit. This is a very old, very traditional dish that I grew up with. A good glass of wine and good company makes this meal even more enjoyable to share. 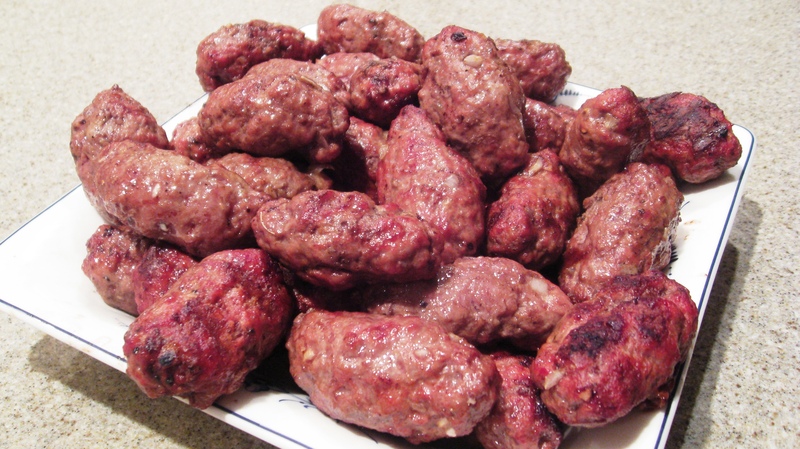 Tonight my dad made these amazing Cevapi, I loved every bit dad! Thank you! Indeed! These are yummy!! A very special thank you to Papa for making these. We loved them. So glad you posted the recipe. Lots of love!! Correct me if I’m wrong, but I thought those sausages are Bosnian?